Becoming an Olympic champion swimmer includes a lot of factors, and everyone’s path is a bit different. It takes poise and nerves of steel, a certain genetic component, an incredible level of dedication and in the case of Olympic Champion Alyssa Anderson, perhaps nothing is more important than strong family support. Anderson is an Olympic gold medalist, a World University Games gold medalist, and a World Championship silver medalist. But she’s not alone in the Anderson family. 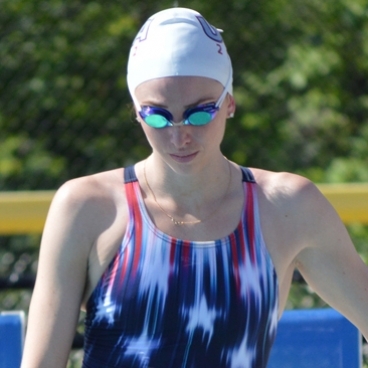 At every single one of those major international meets, she’s been joined on the roster by her younger sister Haley, who’s got an Olympic silver and a pair of World University Games medals herself. But Alyssa’s story is as much about breaking the mold as it is setting in stride with her younger sister. Haley and Alyssa chose different schools. While Alyssa attended Arizona, Haley went to USC. Anderson isn’t built like your typical international-level freestyler. She’s not the 6-foot tall, size 13 feet physical specimen that litters a typical Olympic pool deck. But she used a fire and a relentless work ethic to win three National Championships when she was only 16 years old and be one of the top high school distance recruits in history. Even as she was brought in by Arizona for her abilities in the 1650 freestyle, she decided to veer again off of that path. “I told (former Arizona head coach, current USA Swimming National Team Director) Frank Busch on my recruiting trip that I wanted to be on the 4×100 freestyle relay at Arizona and he laughed,” Anderson recalled. 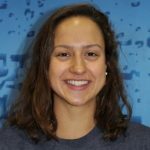 She was dead-set upon her goals though, and despite her successes at the junior level, she would swim the 1650 only twice in her entire collegiate career. Given her relatively smaller stature, this put her in an even more interesting position. Typically the shorter the races, the bigger the champions. Refusing to be held-back, Anderson did make herself an integral part of Arizona’s 400 free relay, anchoring them to a 4thplace finish at the 2012 NCAA Championships in her last race as a collegian. She would earn 16 All-American awards at Arizona, and through many coaching changes she learned how to adapt and become her own best coach. 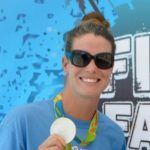 This anomaly shows the nature of the sport– that a swimmer who has attained the greatest levels of success and sat atop the swimming world simultaneously credits her success to the unity, continuity, and support of her family as much as she credits her success to the ability to understand herself. Perhaps, the two contrasting ideas make more sense than they would seem at a superficial level. Alyssa’s greatest attribute is the greatest that one can possess in sports or in life: a fire and a passion for what she does. This sort of passion can be guided and honed by support of those closest to us, our families, our friends; but ultimately, passion must burns internally. 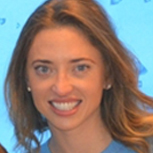 Anderson hopes to stoke the fire of competition and greatness in athletes who attend her Fitter and Faster clinics!